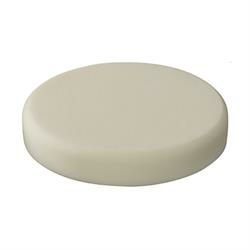 Soft polishing pad for use with final finish sealants, ideally with a random orbital polisher. Also suitable for removing minor weathering effects and fine scratches with polishing compounds such as Heavy Cut (H8.02) and Schleifpaste (H7.01). The open cell structure allows for enhanced air circulation and lower heat generation; ideal for working with scratch resistant finishes which may require longer working times.